It's time for another sketch challenge. 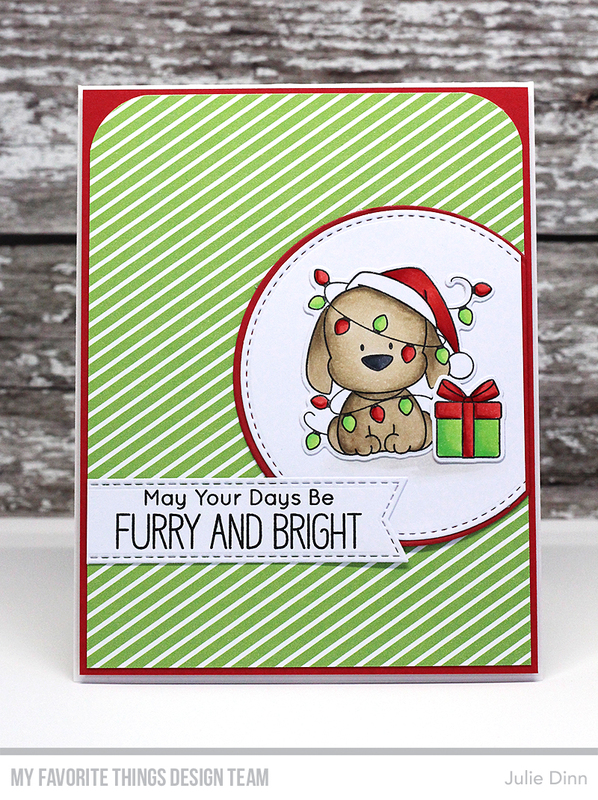 I couldn't resist inking up this adorable pup from the Happy Pawlidays stamp set for this sketch. I stamped the image on a piece of X-Press It card stock and I coloured the image with Copics. The doggie, Santa hat, string of lights, and present match the greeting perfectly! How adorable is that little Christmas pup !? !